In the past the world of Italian food has acquired an online world and has had a real boom with thousands of websites that offer Italian food of all types and spaciality. However, only few are able to emerge from the great mass of websites dedicated to Italian cuisine with the best products of Italian food . Prelibata.com We are convinced that a high quality service is only possible by strict attention to the products Italian food which you decide to offer customers and in the selection of suitable suppliers of Italian food that must meet very high standards of quality, reliability and professionalism. In fact we believe that the level of quality offered can still be an important key to become evident in the world of sites that sell Italian food and be preferred by customers. Our company was founded as an intermediary of typical Italian, with excellent taste and Italian food . The increasing development of the network and technology has imposed to be present online and consequently creaazione a website specializing in Italian food , considered the first step you must take to continue on your way maintained until then. 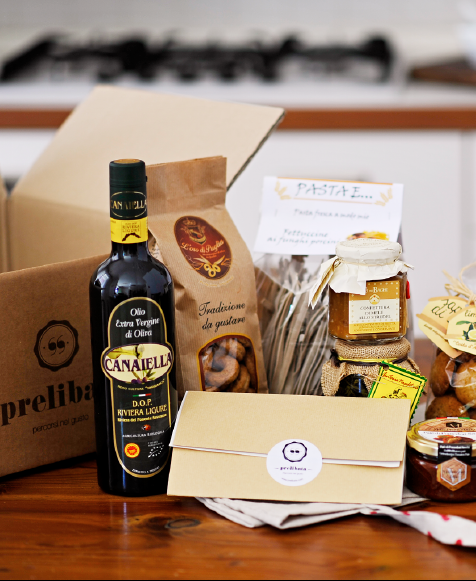 We taste it, smell it, we choose the best products for Italian food , for you. Why buy our specialties of prelibata.com and not at the normal distribution? The question is legitimate, but the answer is obvious: so our products. our specialties, the Italian food we sell is tested, proven and tested to provide the best dining experience possible. If you're still not convinced, call us! Attention, select a region and / or a company to proceed with the search.